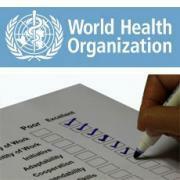 The World Health Organization (WHO) and the Institute for Triple Helix Innovation have partnered for the development and completion of the WHO 2008 Global eHealth (GOe) survey. The collaboration will utilize the Institute’s 3Helix.net colleague network platform and Institute collaboration methodologies to facilitate survey review and support successful completion across the 193 Member Nation states this autumn. The survey is being developed with an interdisciplinary, geographically diverse group of contributors comprising over 30 eHealth professionals representing key stakeholders and subject matter experts from across the globe. Group Members include the Organization for Economic Cooperation and Development (OECD), the European Commission (EC), International Medical Informatics Association (IMIA); International Society for Telemedicine and eHealth (ISfTeH), Healthcare Information Management Systems Society (HIMSS), as well as academic and research and government bodies. The goal of the survey is to assess national, regional and global capacity and need related to eHealth policy, funding and infrastructure. Key eHealth topics to be queried include electronic health information systems, norms and standards, mobile health and eLearning. Beyond the GOe task at hand, the Institute is working with WHO to validate emergent tools and strategies that are most able to provide positive impact for eHealth goals and activities. The anticipated benefits of utilizing the 3Helix.org platform and Institute collaboration methodologies are varied and represent critical advances regarding how online communities optimally work together. Benefits include an increase in the groups’ capacity to share knowledge across distributed areas and diverse points of reference; more effective virtual engagement for efficient and productive co-creation; and, the development of enduring network of cross-sector partnerships to promote new markets, knowledge flows, and products for innovation, economic development and the social good.